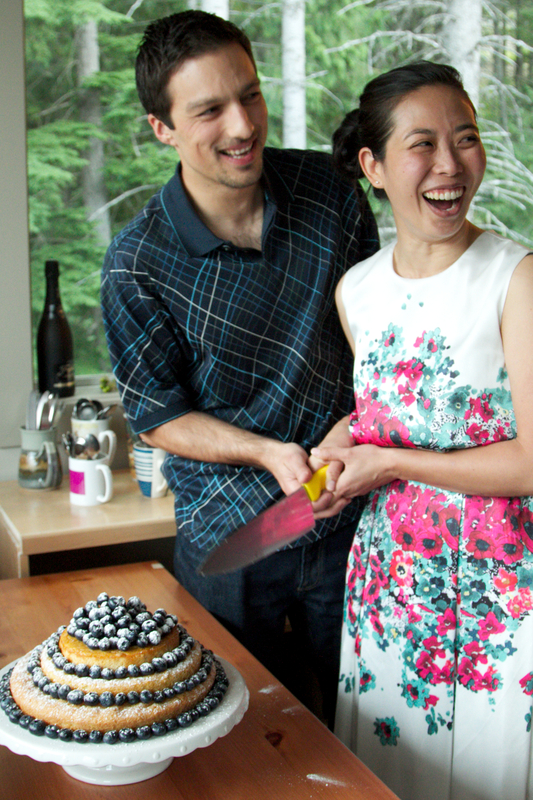 Jess and Sven wanted a simple cake to go with their simple wedding. Biking then a lovely service by the lake. Jess cannot eat dairy so we decided to have just the top layer dairy free. 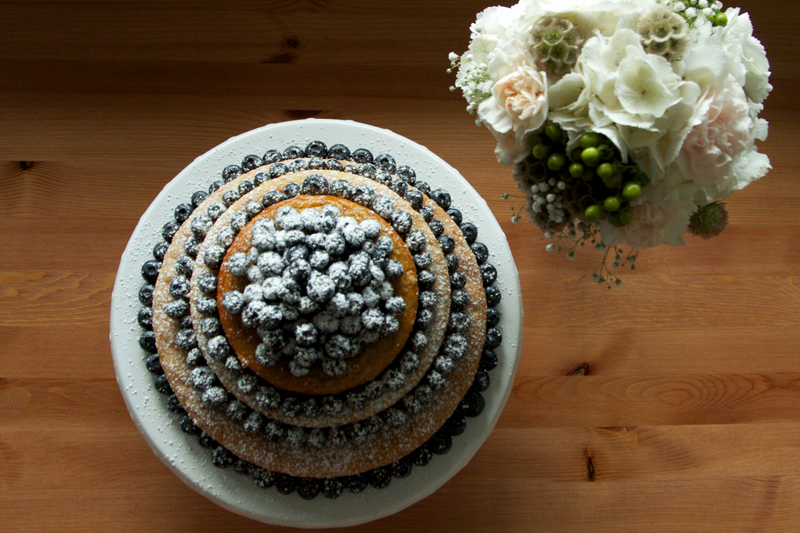 I made a lemon drizzle cake with blueberries on top. 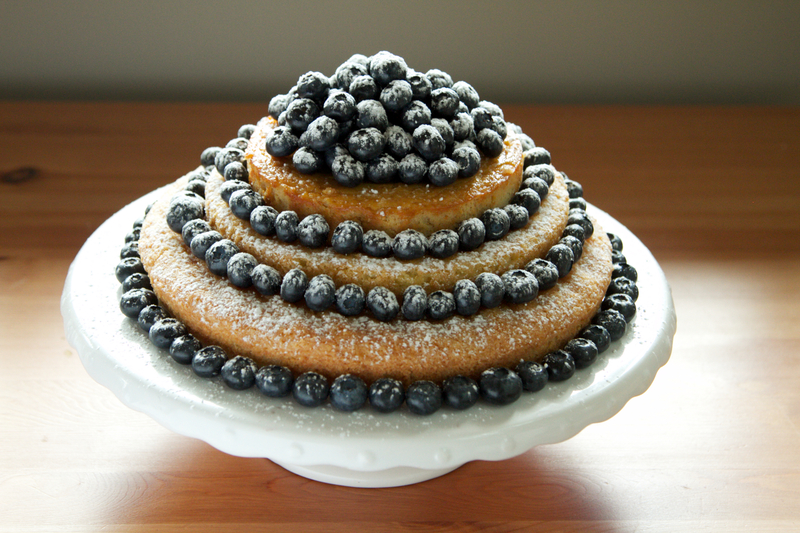 I got a dairy free recipe from a paleo blog but changed it slightly to match the lemon drizzle cake.